I’m always looking for a new way to use ground beef or even ground turkey, we always seem to have it and it’s so convenient to pull a package out and let it thaw while I rack my brain for something new to make. 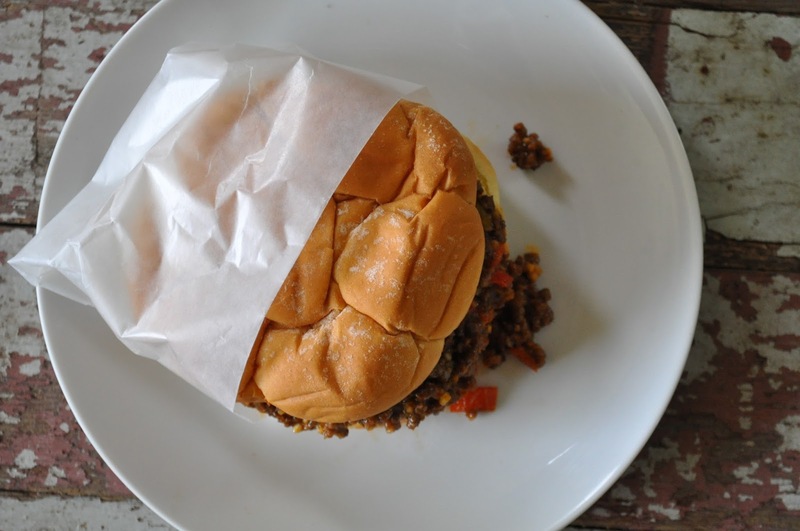 Classic Sloppy Joes, while not new, are certainly a nice way to change up the dinner menu. 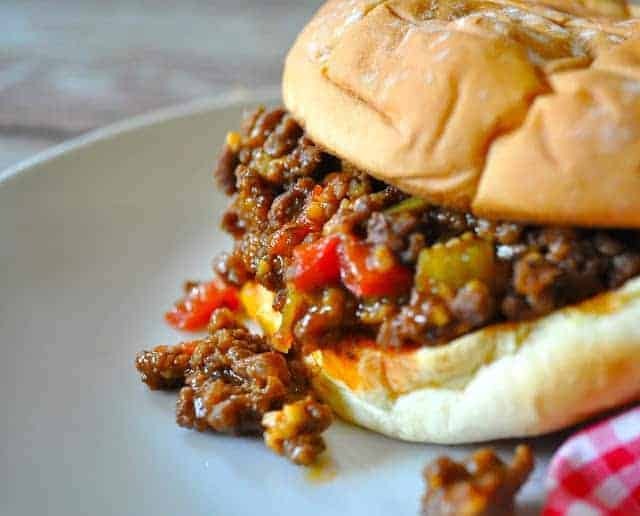 If you haven’t had one since grade school it might be time to try Classic Sloppy Joes for dinner tonight. And when they roll in ready to eat in under 25 minutes you can count on everyone being happy about dinner, the hungry man-cubs, the hangry teens, the cook and probably even the dog, if she’s lucky. I remember Sloppy Joe day as the day I never had a hot school lunch. See I only got a hot lunch a few times a week and I saved it for pizza day and hamburger day. Sloppy Joes? No way. And I’d just like to remind you that back when I went to school they were still making real food in schools and it actually was decent, none of this vacuum packed food hermetically sealed in cardboard trays you see nowadays. I also grew up in the era of the Manwich, the can of sauce dedicated to turning your pound of ground beef into something better and more tasty than anything in the world. Again, that was a big no, my mom did not play the Manwich game or even the Hamburger Helper game, it was straight up homemade or bust. What I’m trying to say is that I think I could actually count on one hand the amount of times I’ve had a Sloppy Joe. When staring down a pack of ground beef I was thawing I decided to change that number and make real homemade Sloppy Joes. 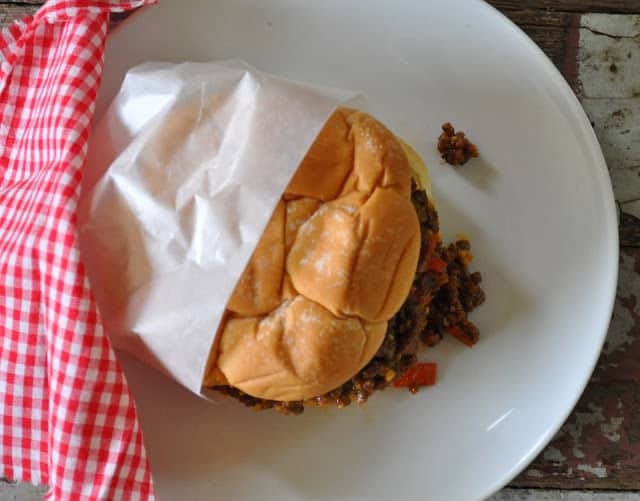 I wasn’t sure how my boys might react to something totally different than what they’re used to, luckily hunger was on my side and they thoroughly enjoyed something new in the good old Classic Sloppy Joe. I don't make them often (now that we are empty nesters) but there is nothing like a GOOD sloppy joe for a quick dinner. GREAT photo!! yes! that’s a good one or even beans-we love that variation. Bringing me back to my childhood right here!! Pinned! I’ve never thought to use oats as a filler for my sloppy joes. Will have to try this. 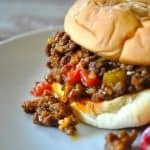 Ground beef is so great for its versatility and these sloppy joes sound fab!